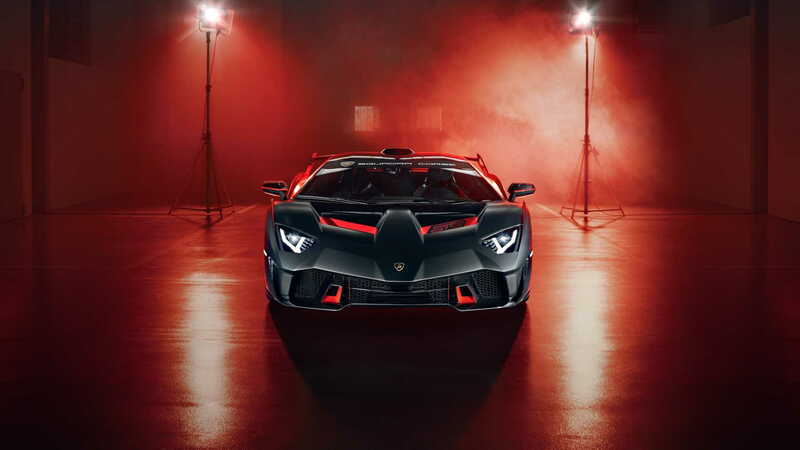 You thought the SVJ was going to be the end of the performance road for the Aventador? It seems Lamborghini's Squadra Corse motorsport department had other plans. Helping to mark the end of the 2018 season of the Lamborghini Super Trofeo one-make series, Squadra Corse late on Friday unveiled its first road-going project: the Lamborghini SC18. 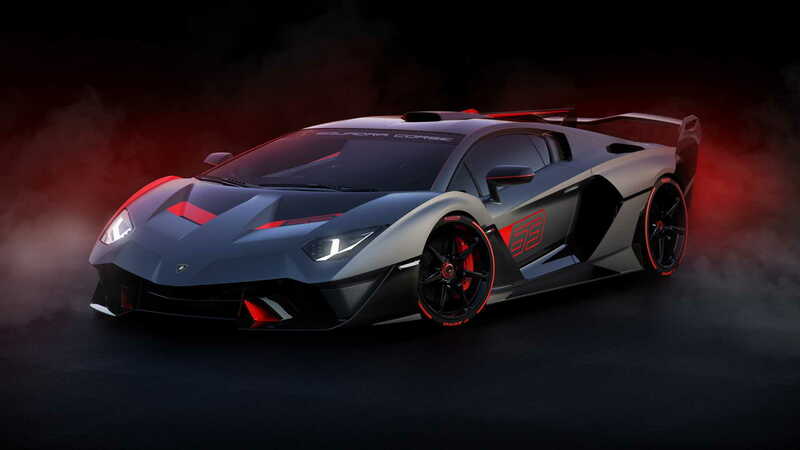 The wild one-off supercar is based on the Aventador SVJ and in fact features that car's version of the familiar 6.5-liter V-12, meaning an output of 759 horsepower and 531 pound-feet of torque. However, Squadra Corse further refined the formula using lessons learned from its various racing programs. Thus, the SC18 is a track-oriented supercar, though it can still be legally driven on the street. It benefits from unique aero elements. 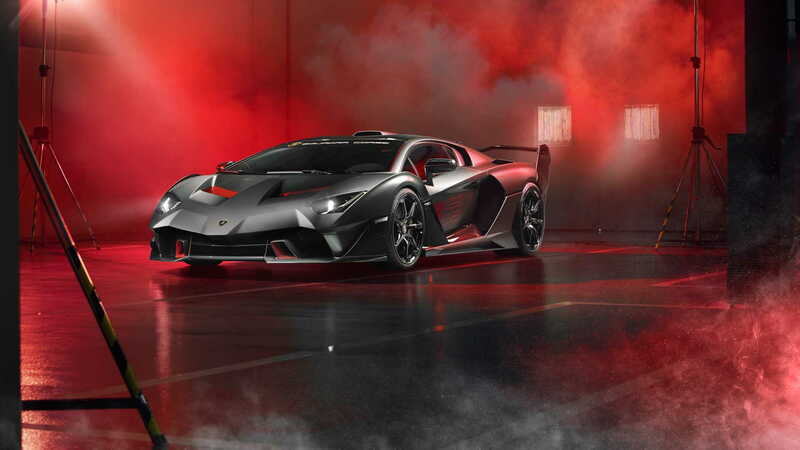 This starts from the front hood, with air intakes in the style of the Huracán GT3 Evo race car, while on the sides of the car are new scoops inspired by the Huracán Super Trofeo Evo racer. The aerodynamic system is completed by a large carbon fiber wing with three mechanical adjustments for varying levels of downforce. In addition, the twelve air intakes formed on the rear deck, a solution already tested successfully in endurance races, helps to keep the V-12 cool. Weight has also been reduced thanks to lightweight construction and the removal of a few amenities from the cabin, though no numbers have been mentioned. 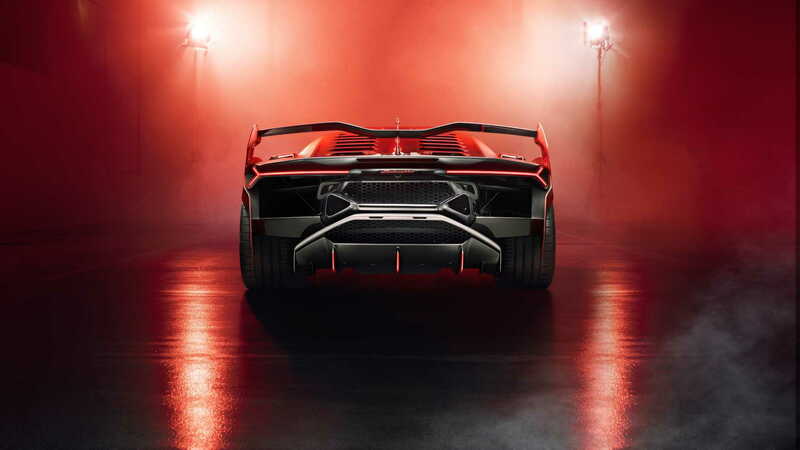 Lamborghini also confirmed that the car is now even lower, with the ground clearance coming in at just 109 millimeters. The look is completed by the single nut wheels measuring 20 inches up front and 21 inches at the rear. They are shod with specially developed Pirelli P Zero Corsa tires. Squadra Corse said the SC18 was built at the request of a customer. 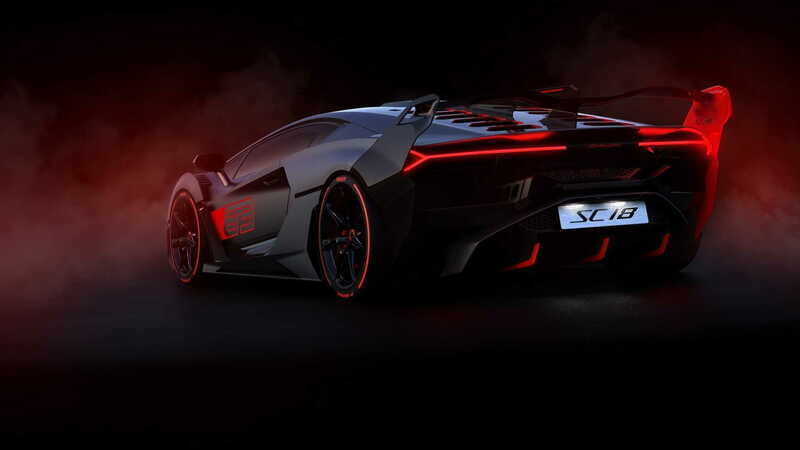 There's no word yet if additional examples will be built but Lamborghini mentioned that the car paves the way to further personalized development projects for motorsport customers under the Squadra Corse brand. Note, Lamborghini is thought to be working on another one-off supercar with hybrid technology. This model isn't expected to appear until the 2019 Geneva auto show next March.